Sophisticated, elegant, and durable. 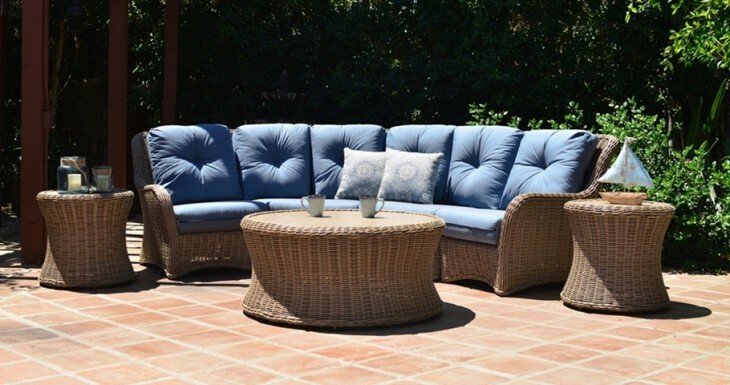 The Westhampton Collection is a perfect addition to any patio or garden. Petite arms with a hand-braided weave complement the bold body design. Sink in to plush cushions and customize their style with any one of Patio Renaissance’s 100% acrylic Sunbrella® fabric options. This collection has modern style with traditional beauty, and it is strong enough to endure even Northeast Ohio’s unpredictable weather for generations to come.